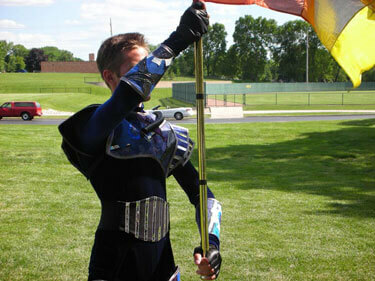 Check out a video of the Cavaliers' color guard in uniform. 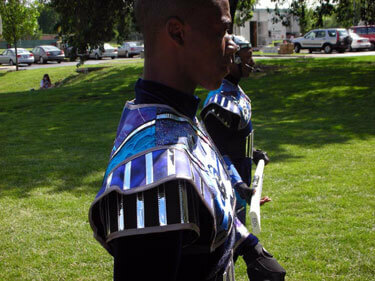 The Cavaliers' color guard members suited up in their 2006 uniforms for the first time on Tuesday evening as they prepared for their first official performance on Friday, June 16, in Oswego, Ill.
"Our 2006 guard costumes are designed by Michael Cesario and manufactured by Fred J. Miller. They are an obvious visual representation of an aspect of our 2006 'MACHINE' program," said the Cavaliers' corps director Jeff Fiedler. "The commentary from staff and members who have seen it have been very much in line with where we're going relative to futuristic machines, processes and robotics, as well as some of the parallel comparisons to current film and television adaptations. 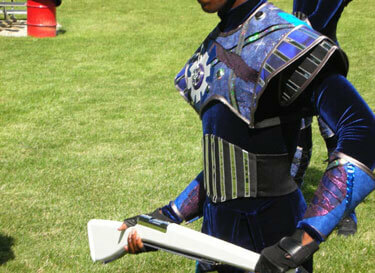 It will be one of the most dramatic, sophisticated and distinct costumes on the field in 2006." 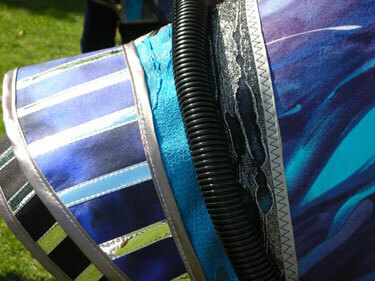 See the 2006 Cavaliers perform live this Sunday, June 18, at the DCI Father's Day Kickoff in Lisle, Ill.